Quote Print: c/o The Type Co.
For those of you who are looking to redecorate, I recommend starting your inspiration search on Pinterest. Believe me, your inner DIY diva will be unleashed before you know it. 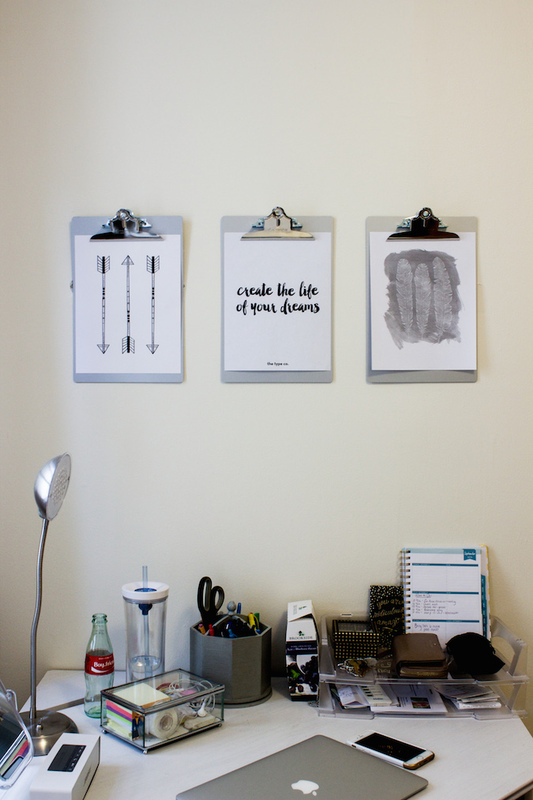 I loved the idea of clipboard wall decor because it allows you to change up your art whenever you desire. I always like to keep a motivational statement up to maintain a positive workspace. 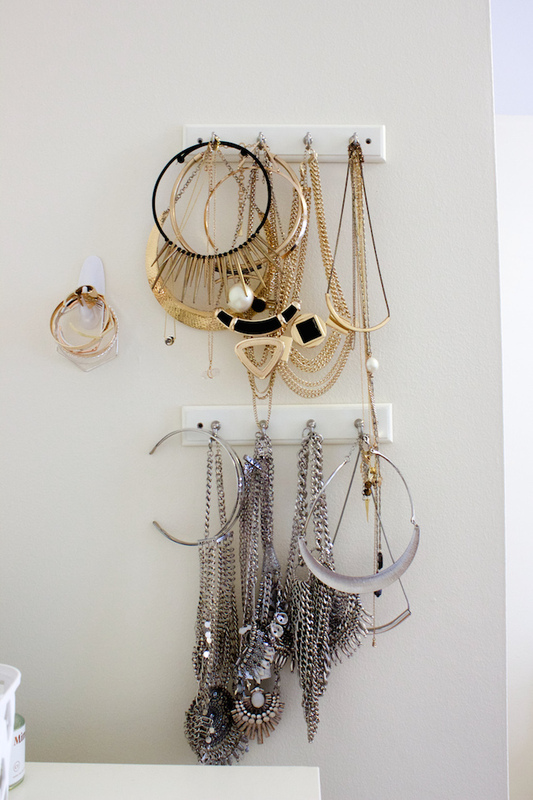 An easy organization hack: Use your accessories as decor! 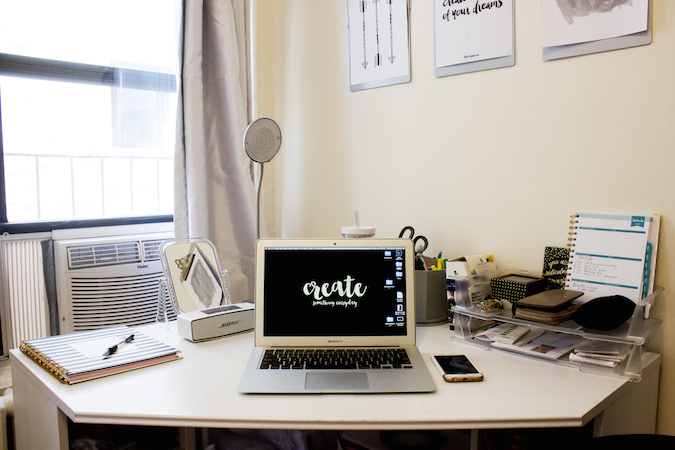 I organized my room with the idea that although this room is temporary in the long-run, little splashes of (affordable) decor can't hurt to make it my cozy escape from the city. If anything, the decor serves as a mini source of motivation, with a world map decal to encourage my travels along with the interchangeable quotes. 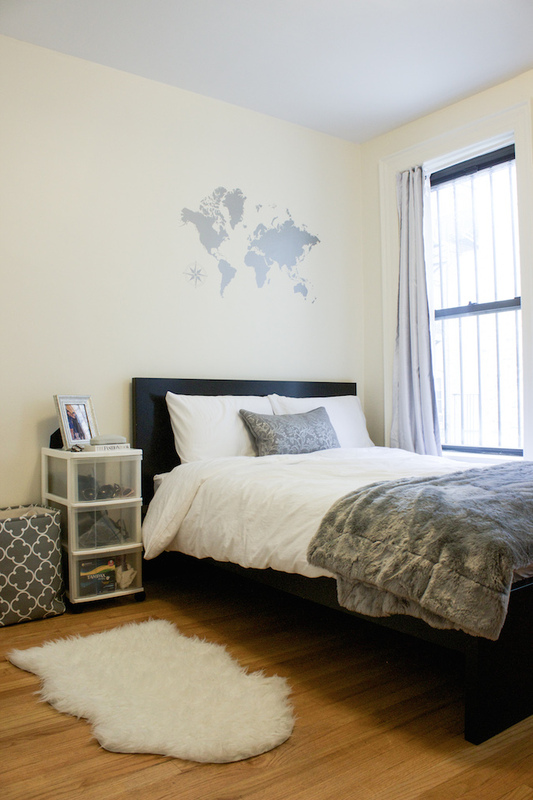 The white/silver/grey color scheme just keeps things uncluttered and balanced for a simple, but cozy atmosphere. I just discovered your blog and I'm already in love with it. 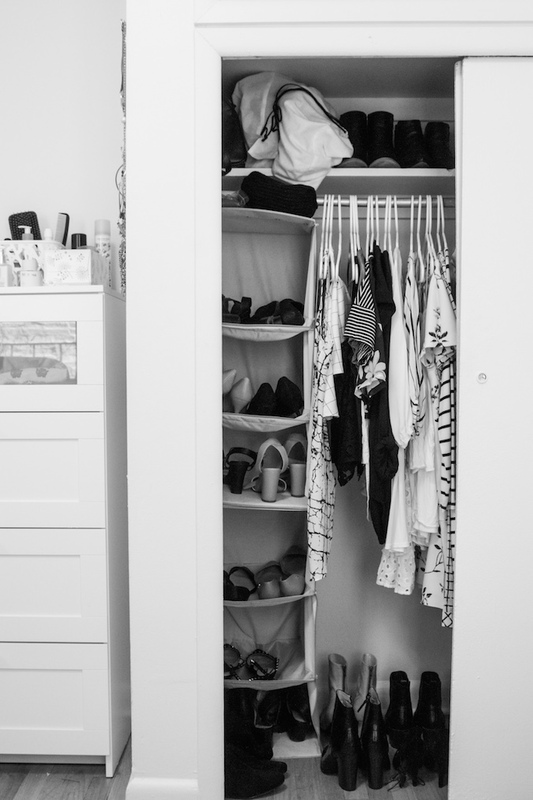 :) Also, your room looks gorgeous, loved the idea of using accessories as a room decor. Definitely going to try it out. Aw thank you so much!! Let me know how it goes! Love the way you decorated your room, it looks so cozy. The world map decal and jewelry hacks are super cute. Omg your hat and necklace storage has given me such good ideas for my own place!! Thanks Gabby! I'm glad you got some ideas! 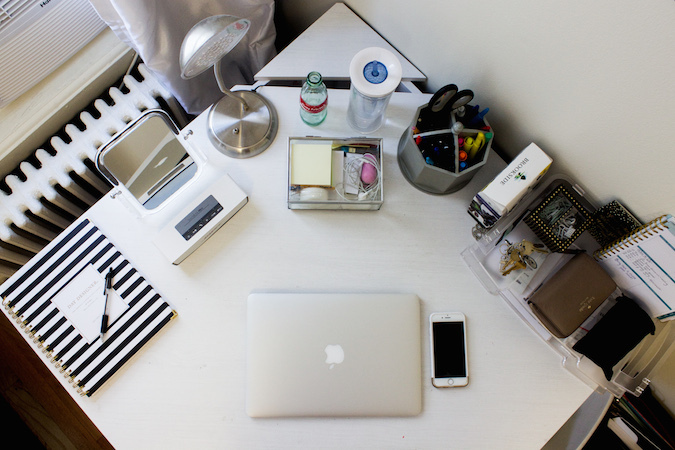 So pretty and you are very organized, I lived in NYC andI know how much is imputed to be organized it a small space!! Beautiful work!! Sleek color scheme! More lifestyle post soon please! Haha I will definitely try them out again more often! Love your room! It's so cozy and so you! Love how you hung up your necklaces, Christina. It's such a good decoration. I love this! I wish I could make my room this simple haha but I just have too much stuff and not enough space. I love the idea of the clipboard art! Gorgeous room! 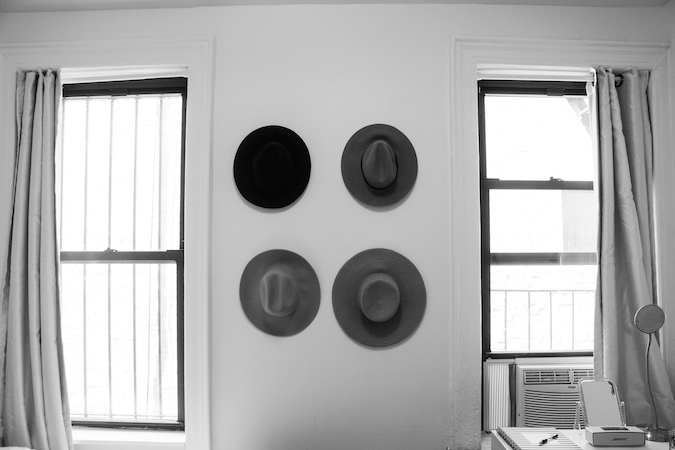 I love the hats on the wall; Such an amazing idea! I am glad you liked my post about the Fashion Show at Ryerson University. The white and grey is a nice color theme. It looks like a cozy situation and like just enough space to still be comfortable - I like it! Ugh! Room goals! I loooove your room. It's so stylish! Congrats, loving your new apartment, when am i moving in ? Haha, come to NYC girl! You have incredible decor style. I love everything about this apartment! It's absolutely perfect! Love it! this is so tidy OMG niceeee! Love your apartment! Great job on the decor!